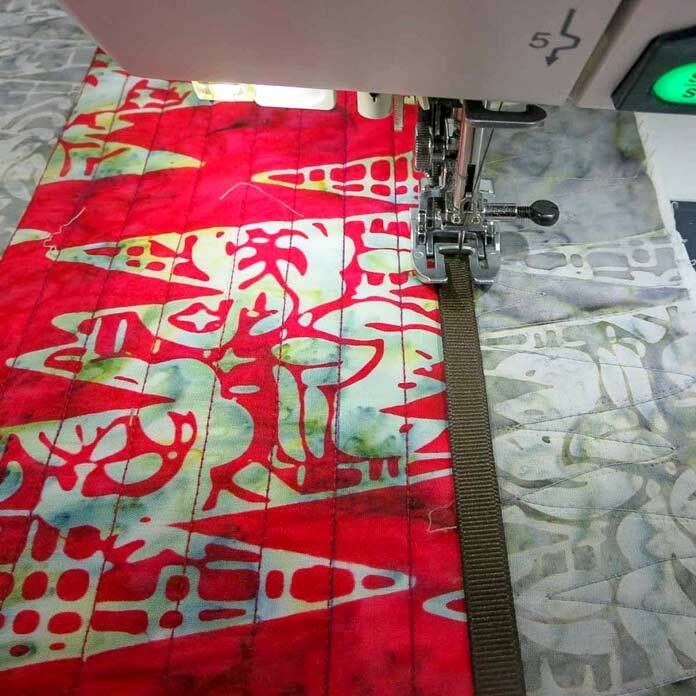 I have enjoyed creating designs with Rock City fabrics by Banyan Batiks this week that are coming to quilt stores this month. In yesterday’s post, I used some sterling colorway fat quarters to create checkerboard star quilt blocks. Today I’ll make the blocks into a reversible quilted table runner. To make my runner I joined the blocks side by side and then decided to add a border. You could also choose to make one more block and set them in pairs to make a 16″ square table topper or a cushion front. Whether it’s a season for gift giving or not, quilters always seem to have a stash of irresistible fat quarters on hand. 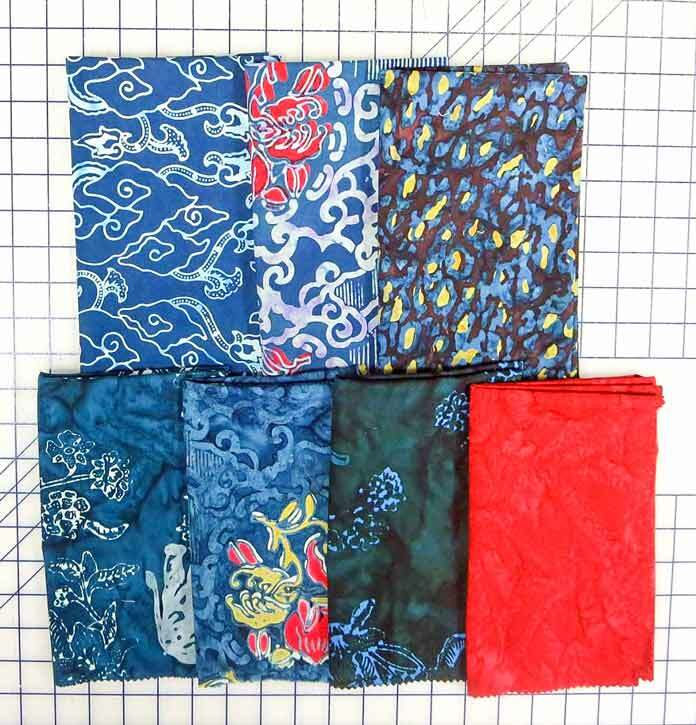 The newest line of Banyan Batiks comes out this month, Rock City, and is definitely a line of fabrics you want to use in your creations! In yesterday’s post I finished making a checkerboard star quilted cushion cover. 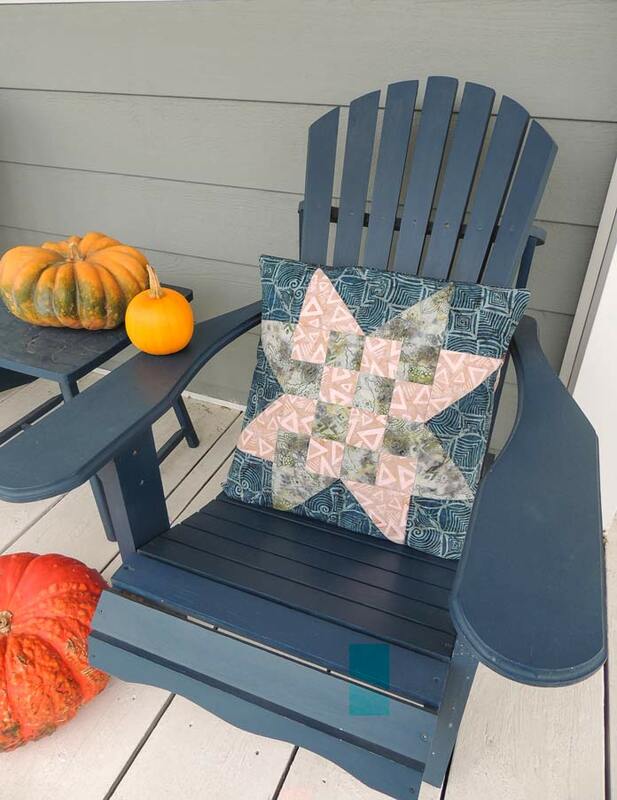 I created the cushion by making one large pieced checkerboard star block. 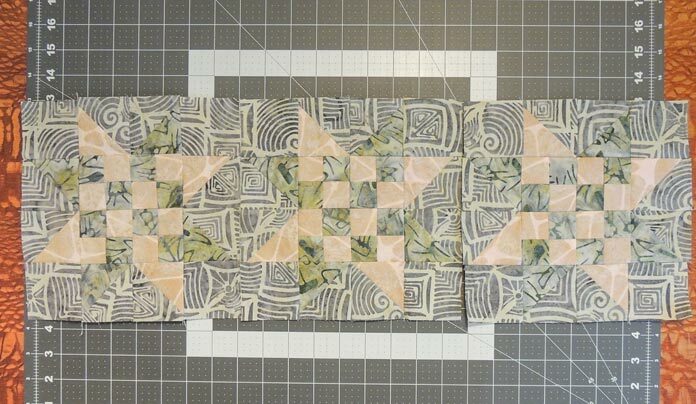 Today I’ll use the same block, but smaller, to create a quilted table runner. The runner finishes at approximately 12″ wide x 24″ long. Making a cushion cover is a quick gift to give or a simple way to add something handmade to your decor. In yesterday’s post we made the quarter star blocks with some fat quarters of the new Rock City batik line coming to quilt stores this month. 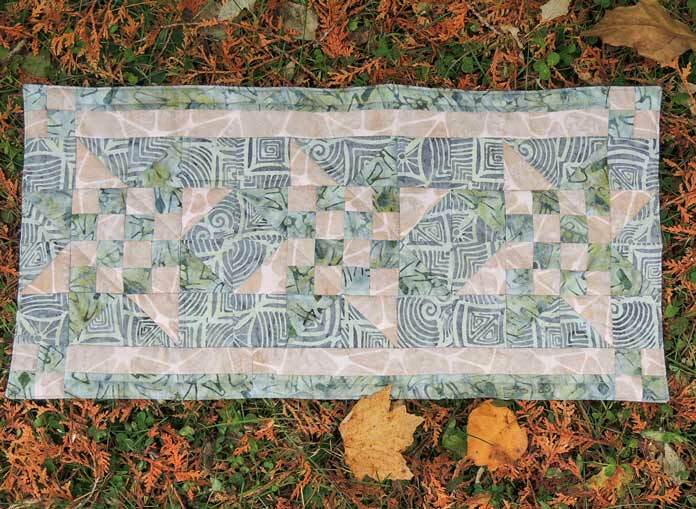 Rock City batiks by Northcott are coming to stores this month. 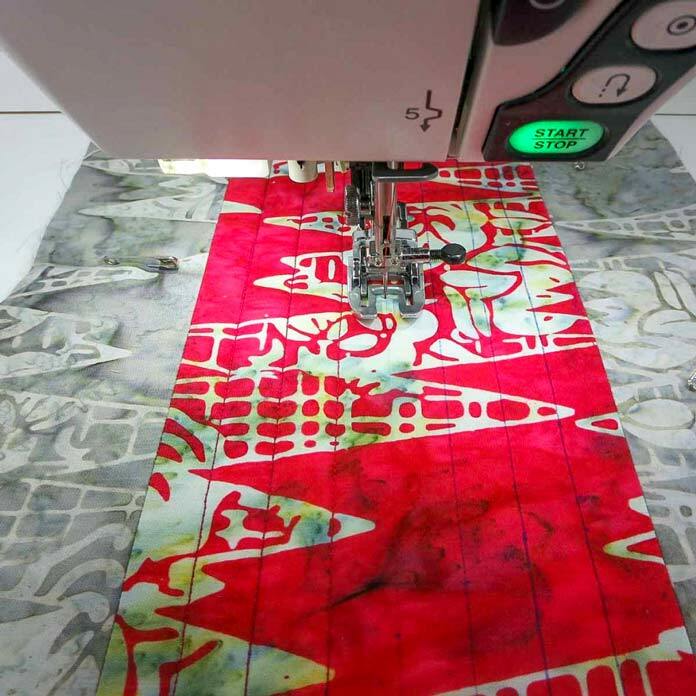 Definitely a holiday treat for quilters – I could just look at these batiks all day! 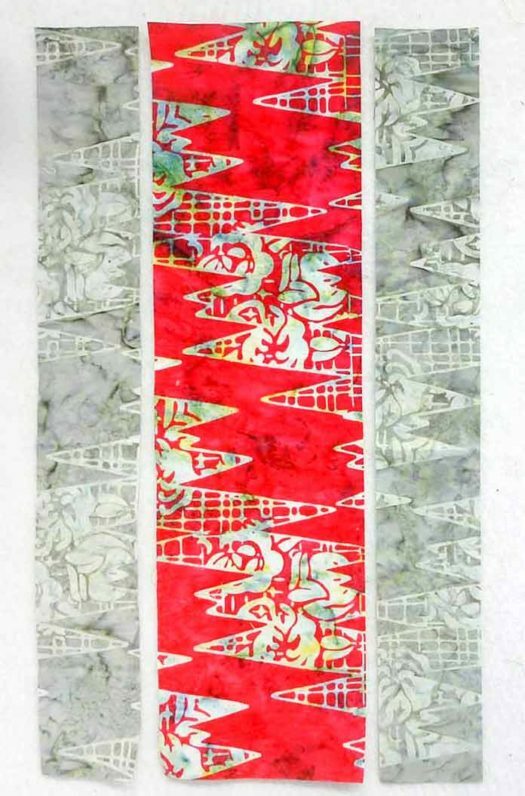 It was difficult to decide what to create with these fabrics because the motifs of the Rock City batiks themselves are so interesting to look at. In the end I decided to make a large pieced block so I could still enjoy the motifs. 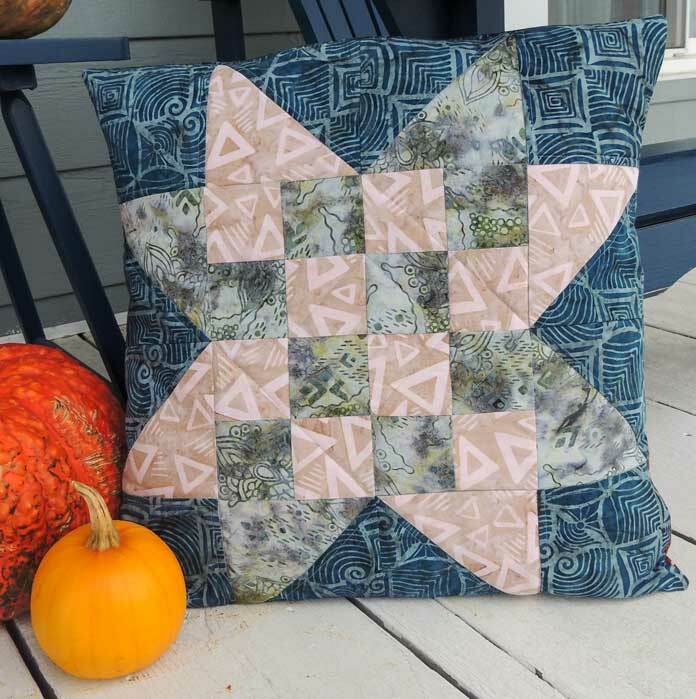 Join me as I take a couple of fat quarters and turn them into a pieced checkerboard star cushion cover. How was your Thanksgiving? Filled with lots of yummy food and your favorite people I hope! A little trip to Paris last week. 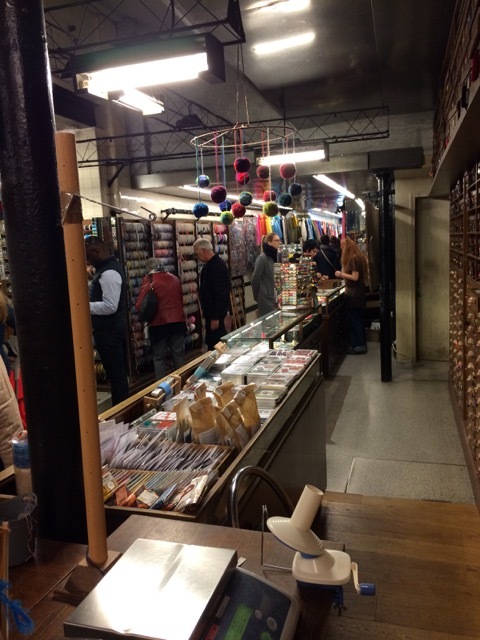 And for me, going to Paris means visiting and shopping at La Droguerie, my favorite haberdasher's shop. 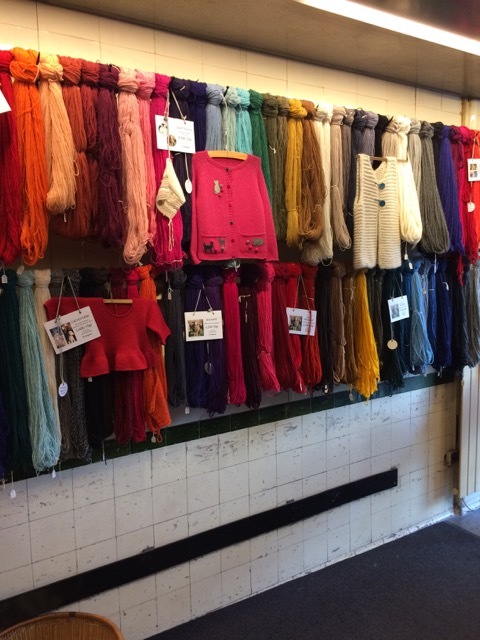 They have their own production and dyeing of great quality yarns. 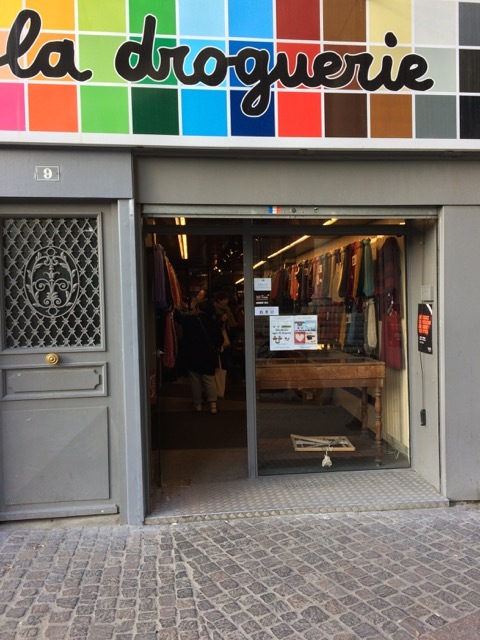 In this wonderful shop you can find quilting fabrics, Liberty fabrics, all sorts of threads, buttons, beads, ribbons... as well as catalogues with their great patterns for children or adults. 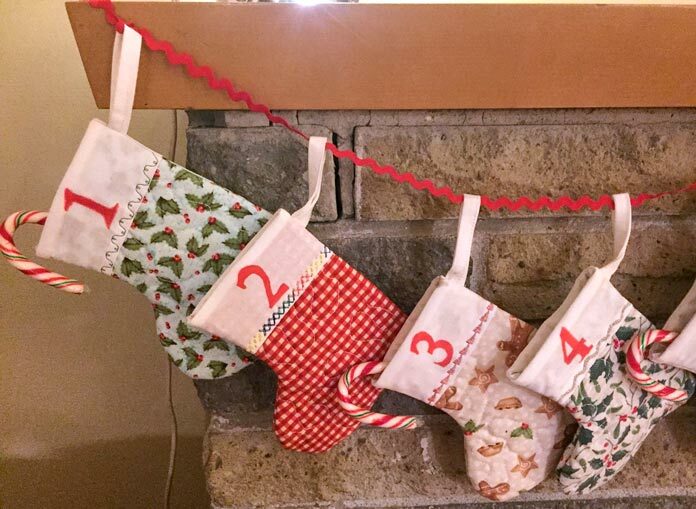 Yesterday I shared the mini stockings for the holiday countdown, but there are other items that can be made ahead of time for at least a couple of people on your list. Take time over the holidays to savor all of the special moments with family and celebrate each day leading up to Christmas with a fun holiday countdown decor project. 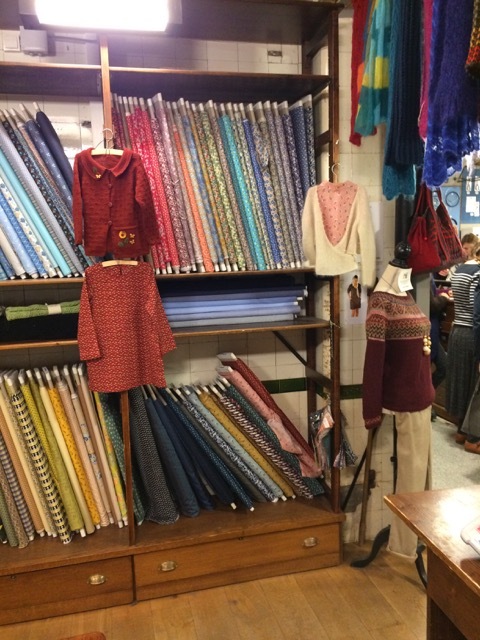 With this project, you can use and admire some beautiful Northcott Holiday Collections and Shimmering Dekor Metallic, SULKY and Gütermann threads. Get into the festive spirit with this project. Fill these mini stockings with goodies each day to decorate and celebrate the holidays with all of your family members for years to come. Yesterday I showed you how to use 6 fat quarters from Banyan Batiks African Violets collection in the Cornflower and Delphinium colorways along with some red Shadows fabric to create some modern Rail Fence blocks. Now you’re ready to sew the blocks together to create your own modern table runner. Let’s get started! Sew the blocks together, alternating blocks 1 and 2, to make 5 rows with 3 blocks in each row. Each row should measure 9½” x 18½”. Yesterday I showed you how to finish up your Roll & Go sewing organizer made from Banyan Batik African Violets fabric. Today, I’ll use 6 fat quarters from Banyan Batiks African Violets collection in the Hibiscus and Delphinium colorways to create a modern “Rail Fence” table runner. I also used ½ yd of red Shadows #81300-24 for accents and binding. Both of these new collections are available in your favorite quilt shops now! 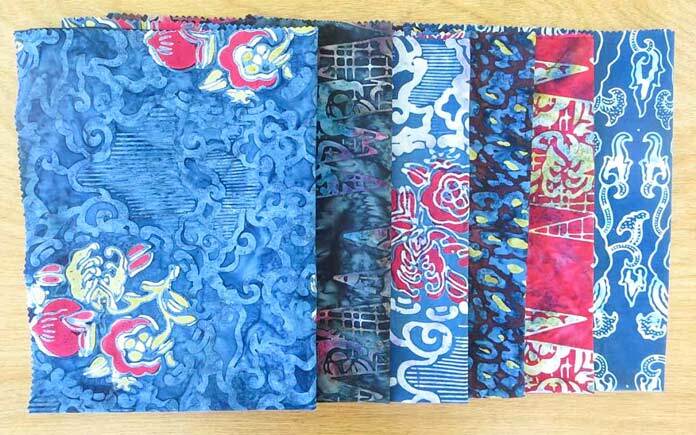 These are the Banyan Batiks fat quarters used for my version of the table runner. Who listens to music when they sew? 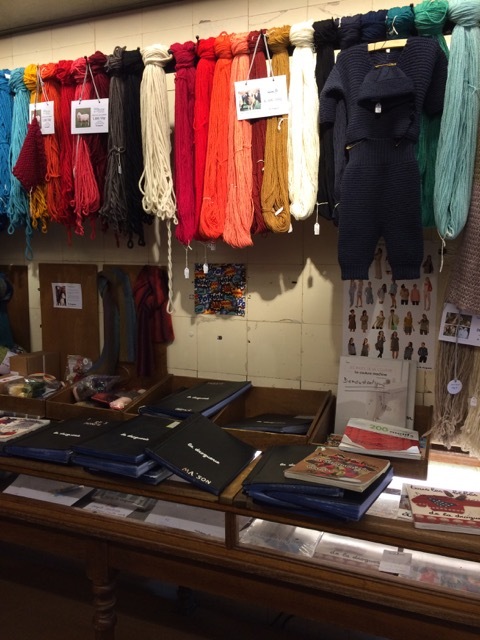 Depending on the day or the mood I want to be in I flip through my Pandora stations usually stopping on a station that will put me in a good sewing mood. Some days it energetic dance music, and other times its soft classical or soothing jazz. Yesterday we got all the bits and pieces of the Banyan Batiks African Violets put together. Now it’s time to assemble everything to finish the sewing organizer. Sew pocket 1 to the inside panel, 9½” down from the top. 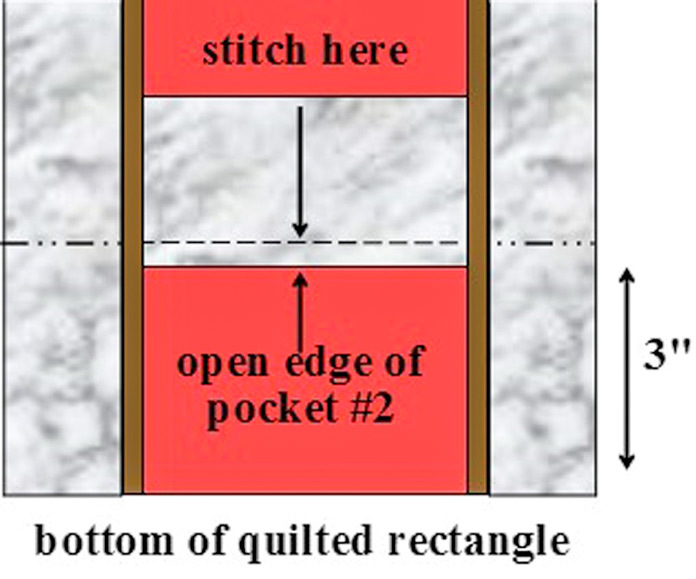 Sew pocket 2 to the quilted 9½” x 19½” rectangle, 3″ up from the bottom. Have the open edge ¼” below the 3″ line. Sew pocket #2 on the outside, quilted rectangle. Fold pocket 2 down and hand-stitch in place. Fold pocket down and hand-stitch in place. Yesterday I showed you how to cut the pieces for your Roll & Go sewing organizer using fat quarters from Banyan Batiks African Violets collection. Now you’re ready to start sewing! 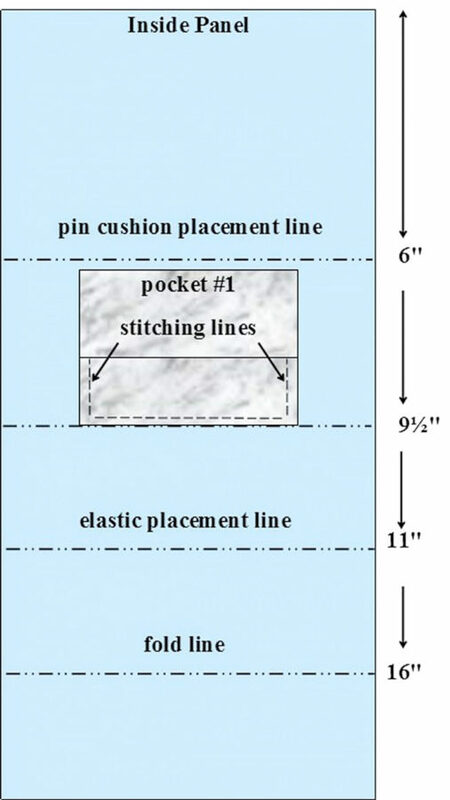 Sew the 20″ outside panel pieces together. Press seams open. 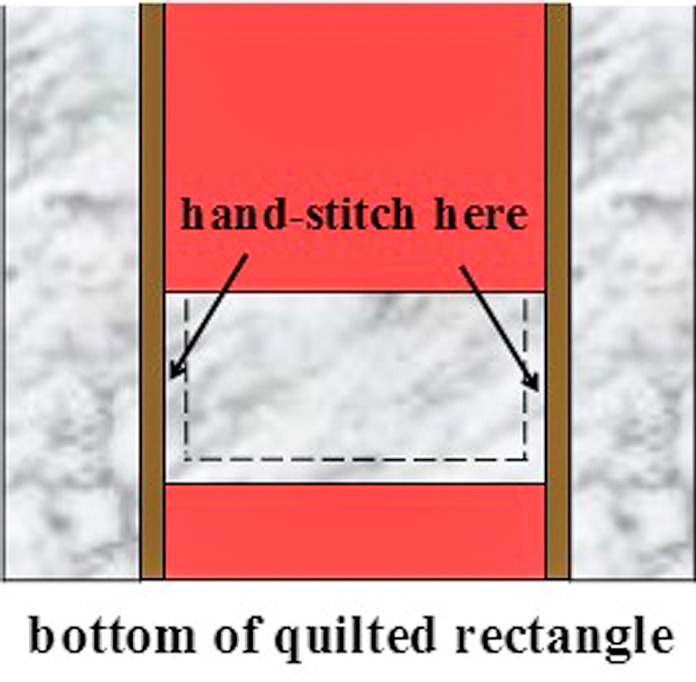 Sew the 3 outside panel pieces together. Layer muslin, batting and outside fabric (right side up). Pin or baste together. Quilt through all layers as desired. Quilt the outside panel as desired. Center ribbon trim along the seam lines. Sew in place. Sew the ribbon trim in place over the seam lines. In my QUILTsocial posts Making a modern quilt design using traditional quilt blocks in September 2018, I showed you how to use 8 fat quarters from Banyan Batiks Tie One On collection along with some coordinating fabrics from the Ketan collection, to make a table runner and placemats. This week I’m sharing some projects using fat quarters from the Banyan Batiks African Violets collection in the Cornflower and Delphinium colorways. WOW! Is the first word that came to mind when I got my crafty little hands on Mister Domestic's new fabric collection! Thinking of all the possibilities of things I could make with these prints got me all full of goose bumps! Top three things I want to make with Aura Fabrics is a dress for me out of the "Aloha Spirit Hibiscus" rayon print!!! Similar to the one we made in the Fabric Project Catalog pictured below! Isn't Michelle from the graphic design team so cute in this dress!? I’m back for the last post of the week, have you tried the mitered corner technique I showed you yesterday? Easy, right? One of the last things to do when making cushions is attaching the zipper, here are two simple ways to add zippers to your cushions. All week long, I shared tutorials to make attractive cushions to gift for the Holidays. These tips make the cushions look professionally made but really, they were effortlessly handmade. And adding zippers is no exception with the PFAFF creative icon. Thanks to its big screen and tutorial section! This week is all about making attractive cushions for holiday gifts, and yesterday I shared 3 reasons why embroidering text has become a bit of an obsession. In this post, I want to show you how to make perfect mitered corners in just 8 simple steps using the PFAFF creative icon. I promise you won’t ever be afraid to make one ever again! It’s so important to prepare your fabric, stitches and stabilizer for successful machine embroidery, as I explained yesterday. Pretty quickly, these 6 steps I talked about become second nature and machine embroidery becomes a cinch. When it comes to text, I never thought I would ever need to embroider text until I had the PFAFF creative icon! 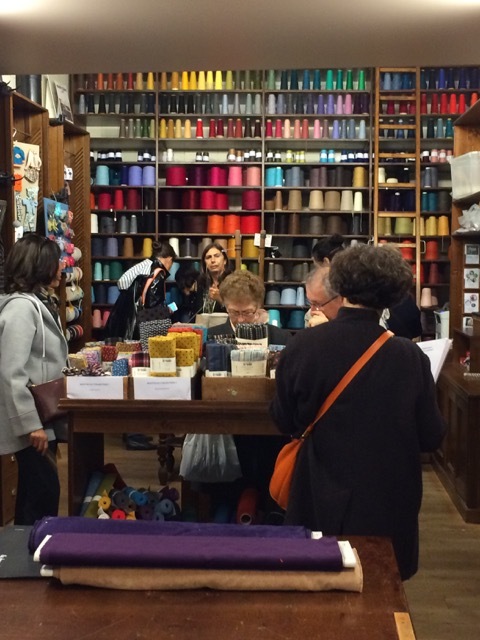 Here are 3 reasons why embroidering text has become a bit of an obsession. Have you sorted your fabric to make the 3 cushion ideas I mentioned yesterday? With more than 800 embroidery designs on the PFAFF creative icon at your fingertips, there are great projects to be made. Yet I have learned that there are 6 essential steps you need to take for great results.